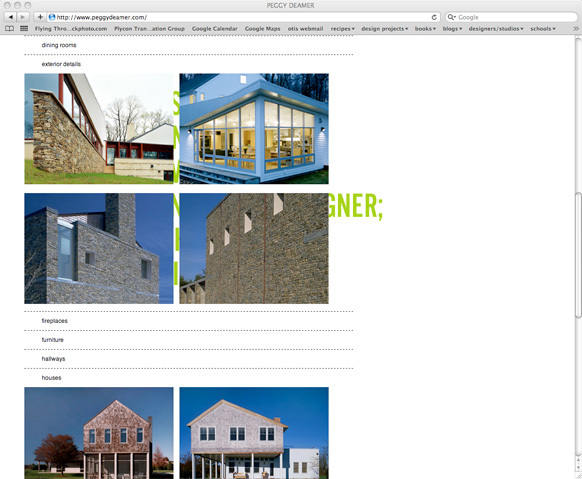 Website design for the studio practice of Peggy Deamer, architect. 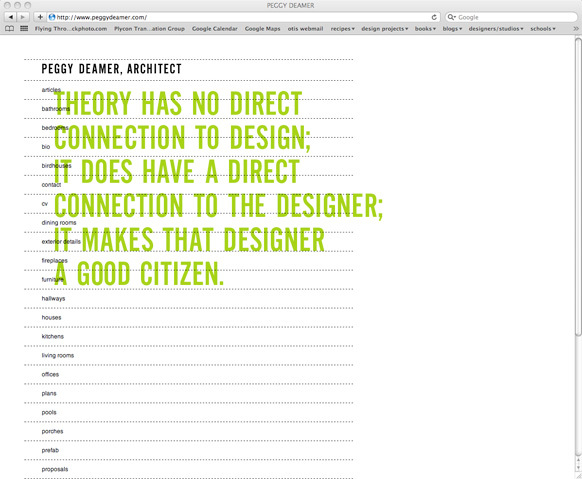 This website was designed to function as an index of Peggy's work as an architect, educator, writer and critic. 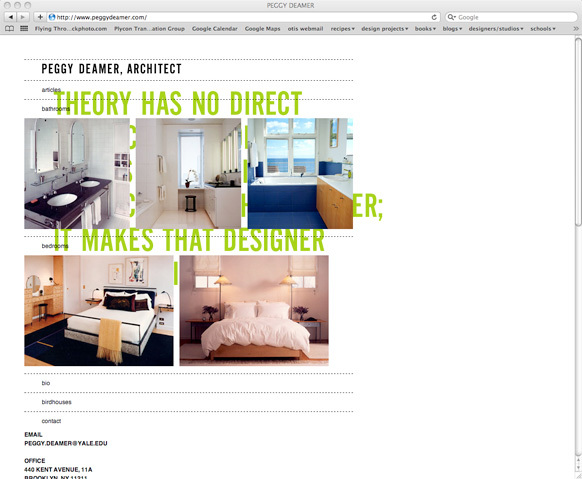 We organized her projects according to basic categories due to her interest in prefab architecture. We thought it was important that her work be viewed in the context of her writing, hence the large quotations that are the background for the site. Programming: Greenblatt-Wexler.